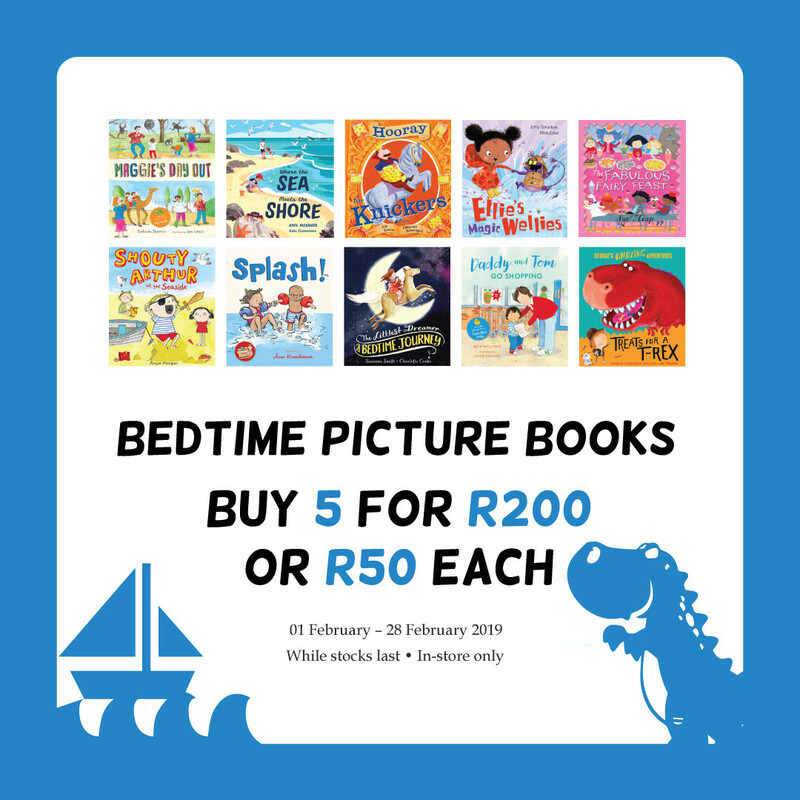 Let Exclusive Books make bedtime with your little bookworm fun again with this amazing special offer! 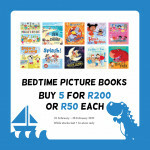 Get one for R50 or five for R200 on selected Bedtime Picture books! In store only and while stocks last.